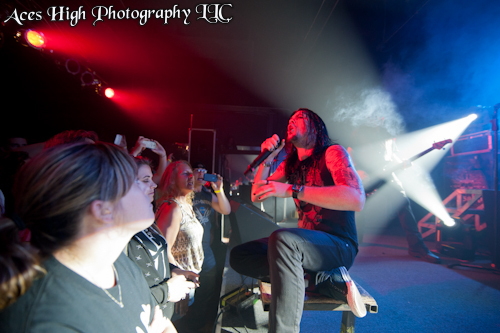 SALIVA and RED SUN RISING Live in Akron, Ohio With Photos! 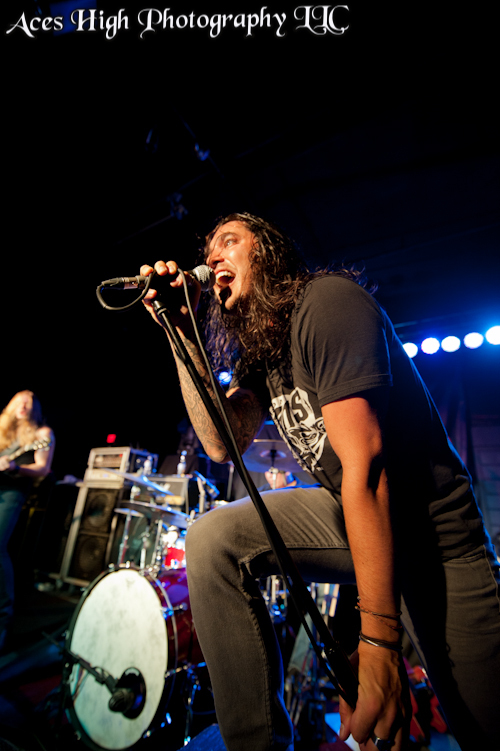 The home-town boys RED SUN RISING kicked off the show at The Rock Factory in downtown Akron. Now if you have been to some concerts before, you are aware that many times (especially at club shows) there will be some garbage local bands that will open the show and will rarely ever be mentioned in a concert review-this is not the case with RED SUN RISING. They may be local, but the members of RED SUN RISING are seasoned musicians with stage presence and touring experience, not to mention and extremely loyal and ravenous fan base. RED SUN RISING is one of those bands that really don’t fit any traditional molds of hard rock and heavy metal. They blend lots of hooks and melodies with slamming riffs and add to it a Myles Kennedy-esque vocal from Mike Protich. They do their own thing-and it works! The band had to make the best of a very cramped stage due to SALIVA’s huge drum riser and extensive lighting, but that didn’t stop them from wrecking the place. Once RED SUN RISING took the stage, the scattered crowd grew dense down front. It was the intensity of the band that energized the crowd. The only hiccup of the night came when a beer managed to splash on one of the monitors causing the sound guys to scramble down front and disconnect it. Otherwise, the band was tight and their stage show never managed to suffer due to the tight quarters. 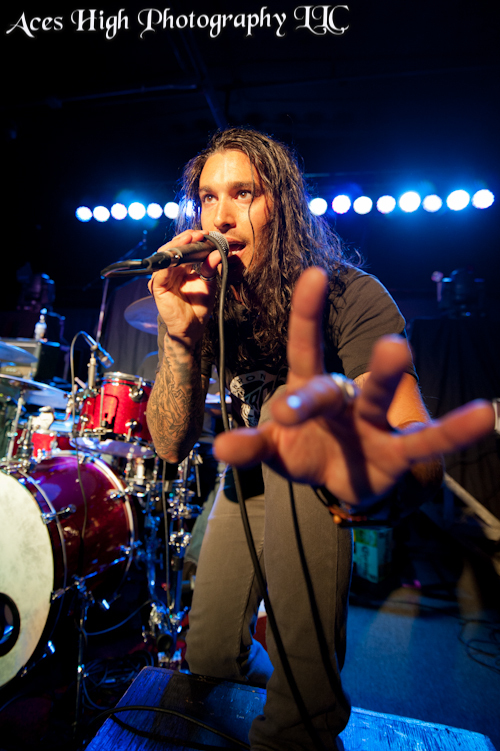 I would recommend RED SUN RISING to any fan of rock, metal, or punk…they have something for everyone and if you get the chance to catch them live, you will not be disappointed. "Love is all to Blame"
After a set change it was time for the rejuvenated and revamped SALIVA to take the stage. Right off the bat, SALIVA got the crowd going with "Ladies and Gentlemen". Seriously, would you expect them to open with anything else? The newest addition to the band, Bobby Amaru, belted vocals from center stage-adapting songs to make them his own and stirring the crowd into a frenzy. It was easy to see that the new vocalist fit right in as if he had fronted SALIVA all along. SALIVA plowed through hit after hit without missing a beat. One of the highlights of the night was hearing "Rest in Pieces" followed by a cover of FLEETWOOD MAC’s "Gold Dust Woman" The two songs really showed off Bobby Amaru’s vocal range. The band also played their newest single "In It to Win It" – a heavy and up-tempo track off of their upcoming release of the same name. If the rest of the album sounds like this, we are all in for a real treat. Despite the club’s size, SALIVA brought with them a full-size stage show, complete with an enormous drum riser and tons of additional lighting. It really made it an excellent show to photograph and it was nice to see a band put so much effort into their large scale production regardless of the size of the venue. Overall, it was an excellent show and anyone who attended probably felt that they got their money’s worth. SALIVA mingled with the crowd afterwards – signing autographs and taking pictures. Look for In It to Win It on store shelves later this year.